Everyone knows the importance of attending class, which is why campus parking is of the utmost priority for Darren Mitchell. As the newly appointed director of Campus Parking, Mitchell’s priority is to ensure that Huskie drivers have a safe and efficient parking experience when they arrive. “We are very concerned about campus parking, because obviously parking is a very important entity to the campus and surrounding communities,” said Mitchell, who took the post Sept. 1. With more than 10,000 parking spaces around campus, it’s a big job. The good news, Mitchell said, is that there are plenty of systems in place to help drivers navigate the parking situation. Mitchell said understanding where drivers can and cannot park is critical, as well as understanding the fines assessed for violating the rules. “We have tried to make it convenient for students to understand what parking locations are closest to their classroom buildings, and what other transportation options we have to avoid having to drive your car altogether,” Mitchell said. Laura Lundelius, NIU’s director of Campus Services, agreed, adding that sometimes the closest spot isn’t the optimum spot. Lundelius recommends students plan ahead, as the beginning of a new semester always involves a new learning curve. 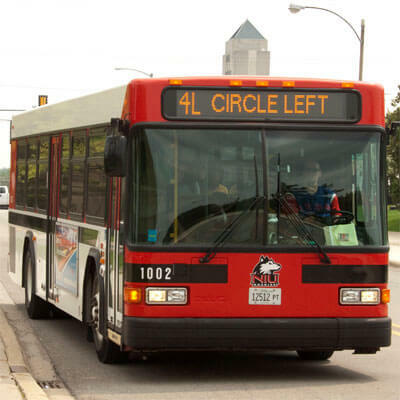 Students should consider alternative transportation as well, including the HuskieLine, biking, walking or carpooling to campus. NIU’s parking services team is responsive, and looks for ways to better serve the community. including the HuskieLine, biking, walking or carpooling to campus. Changes include adding 79 “yellow” commuter spaces – 38 in the parking garage, 30 in the lot south of Anderson Hall and 11 on Stadium Drive North. Another way students can be heard is by joining the Campus Parking Committee. Four students are appointed by the Student Association each year, and join four faculty, four operating staff, four supportive professional staff and Mitchell in advising the vice president for Administration and Finance regarding parking and traffic matters. 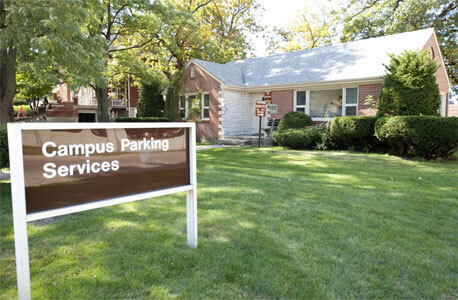 The Campus Parking Committee is currently seeking to fill the four student positions. Those interested should contact the Student Association for more information.